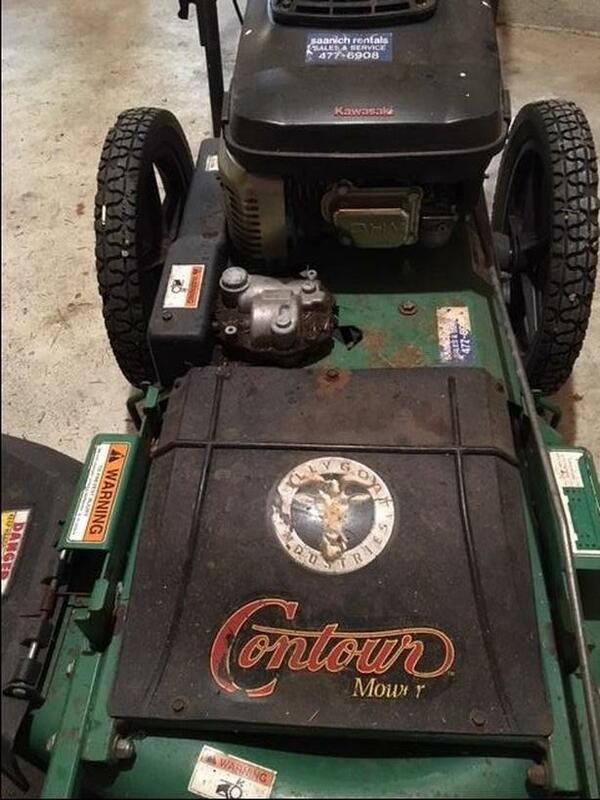 Billy Goat Contour heavy duty lawnmower. Powered by a Kawasaki engine. Runs well. Mower is on Pender Island.